Alta, UT – On what should have been Alta Ski Area’s opening weekend on Saturday, a handful of skiers burned wooden skis in a sacrificial offering to the Norse god of winter, while skiers and riders hit a homemade kicker built on a strip of man-made snow above the resort’s Wildcat base. 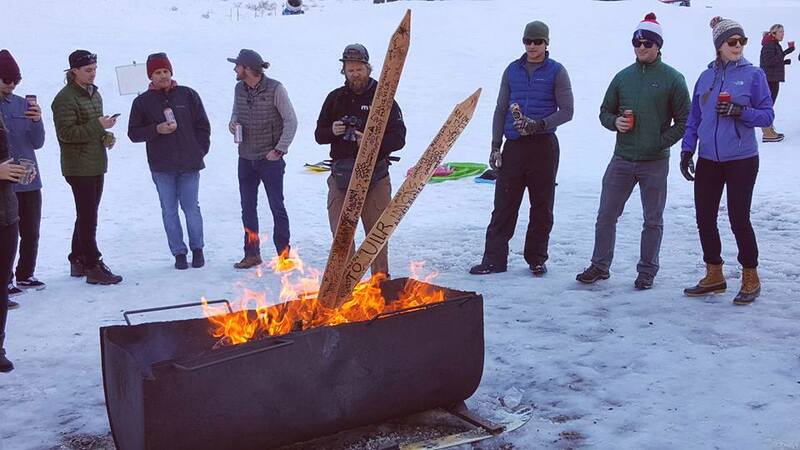 They were all celebrating Ullr’s overdue return to Utah’s Wasatch Mountains, although most had planned to be riding lifts instead. 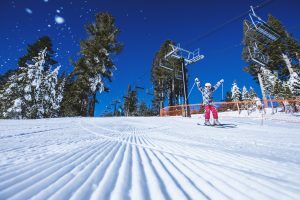 A month of warm, dry weather has postponed resort openings and canceled World Cup races across western North America, frustrating skiers who by now are more than ready to get the season started. 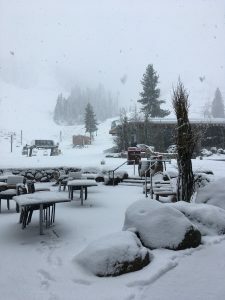 For Alta skiers, that has meant another two weeks of patiently waiting for a rescheduled opening date of December 2. 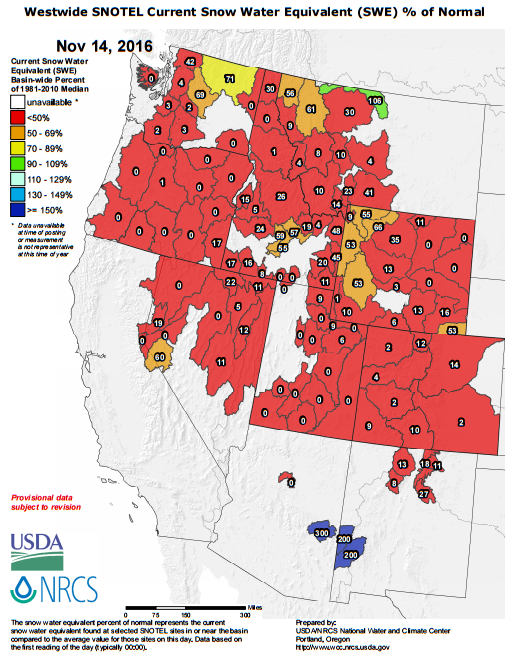 After a series of storms blanketed the Rockies, Cascades and Sierra Nevada in late September and early October, a persistent ridge of warm high pressure dominated the entire West for four full weeks. This kept snowstorms away and snowmaking guns silent, forcing resorts from British Columbia to New Mexico to postpone their opening days. Warm weather hasn’t been confined to western North America this October, either. In fact, according to the U.S. National Oceanic and Atmospheric Administration (NOAA), this October tied for the third warmest ever across the globe, 1.31 ºF above the 20th-century average of 57.1 ºF. This tied with 2003 as the third warmest for the month and 0.47ºF cooler than last year. With only two months left in the year, the globe remains on track to be one of the warmest years, if not the warmest, in the 122-year record. While a mere handful of ski resorts in Colorado, New Mexico, California, Nevada and Alberta have scrounged together enough snow to open, all are still using every weather window to make snow as temperatures allow. The prevailing weather pattern is also changing, bringing increasingly frequent storms and reinforcing shots of colder air through the region. The lack of snow thus far this season has also canceled the season’s first men’s speed events on the World Cup circuit, set for Lake Louise, Alberta, Canada next week, and Beaver Creek, Colo. in the first week of December. “Beaver Creek typically has some of the best early season conditions in the world and a remarkably sophisticated snowmaking system. 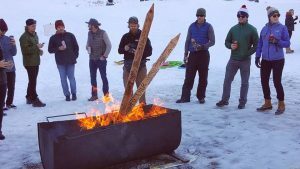 However, the cold weather did not come in time this year,” added Mike Imhof, president and CEO of the Vail Valley Foundation. The Beaver Creek races have now been moved to Val d’Isere, France. The main elements of the EverBank America’s Winter Opening festival, including concerts from Strange Americans on Dec. 1, Bonfire dub and Beers of Prey beer tasting on Dec. 2, and a showing of Red Bull Media House’s new film The Fourth Phase on Dec. 3, are still scheduled to occur at the Vilar Performing Arts center in Beaver Creek. At Lake Louise, where men’s races were scheduled for Nov. 26-27, there’s plenty of snow on the upper mountain, but the course’s lower section failed to pass this week’s International Ski Federation (FIS) snow inspection, marking the first time that the annual races in Lake Louise have been canceled in 29 years. With only one week to go before the first scheduled training run, the warm temperatures, the lack of snow and an unfavorable weather forecast scuttled the competitions. “While we have good snow conditions on the upper mountain, we didn’t have enough cold to get to the finish line for the men. We will continue our efforts for successful races for the ladies and look forward to the men returning next year,” said Brian Lynam, Race Chairman of the Lake Louise Alpine Ski World Cup. The Lake Louise men’s races have yet to be rescheduled by the FIS. Ironically, the women’s tech events scheduled for the same weekend at Killington, where some questioned the Vermont resort’s ability to put together World Cup conditions on its Superstar trail in late November, have passed their snow control inspection and will go ahead as scheduled. 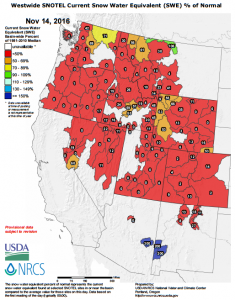 Despite the warm start, advance reservations at western ski resorts have continued unabated. 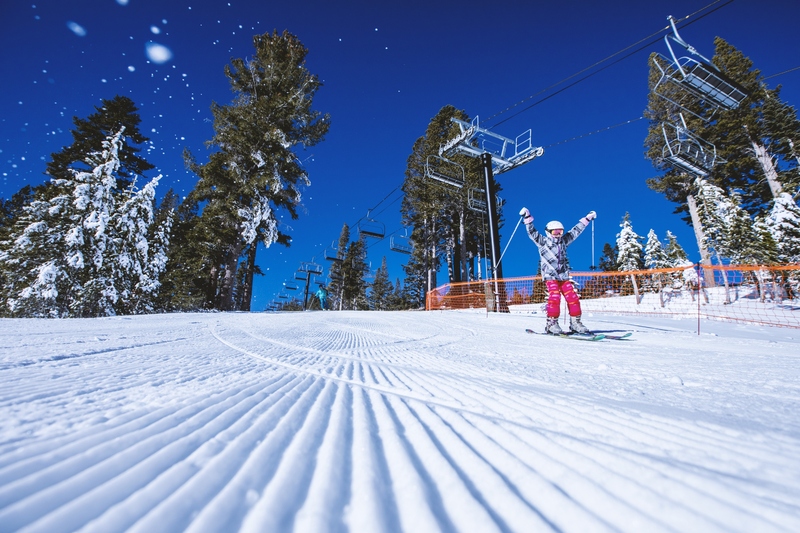 The booking pace during October has remained steady with bookings made for arrivals through the winter up four percent compared to last year at this time, according to a sampling of resort properties across six western U.S. states conducted by Denver-based DestiMetrics. Occupancy figures are also showing increases in five of the six months. Occupancy in the month of November is up a robust 11.6 percent with the critical months of December, January and February also showing occupancy and revenue increases. “Lodging operators at western mountain resorts are getting somewhat concerned about the recent warm conditions and lack of snow but as of Oct. 31, there is no evidence that the booking pace is slowing down or that winter occupancy or revenues are being affected,” observed Ralf Garrison, director of DestiMetrics.